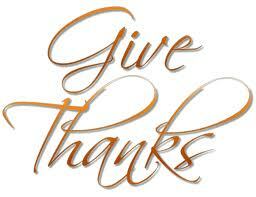 During this season of Thanksgiving, I want to send out a big “THANK YOU” to you for joining me on this gardening journey. You mean the world to me! Now it’s time for me to start waiting the winter out. “Waiting the winter out” brings to mind something I learned from Mr. Rogers…. “let’s think of something to do while we’re waiting… ” Mr. Rogers was right, it IS always good to have something to do! 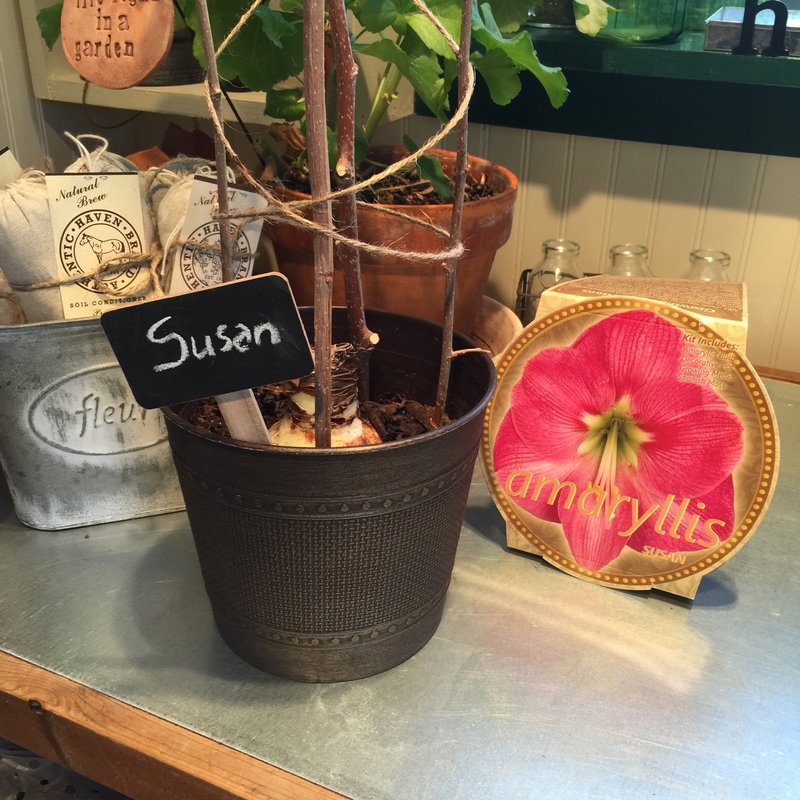 I have several pots of amaryllis and daffodils I will soon enjoy in the Potting Shed. 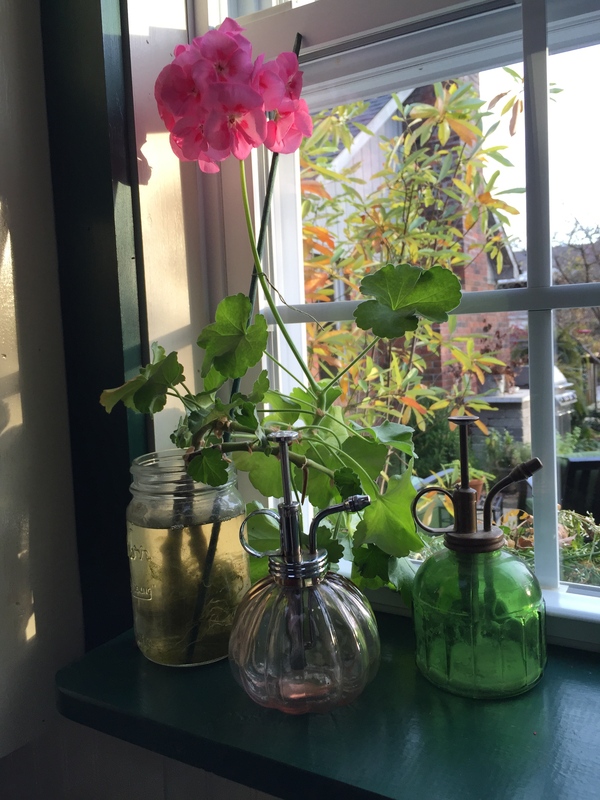 And, will continue to “tend” the gerainiums and herbs that are over wintering there. 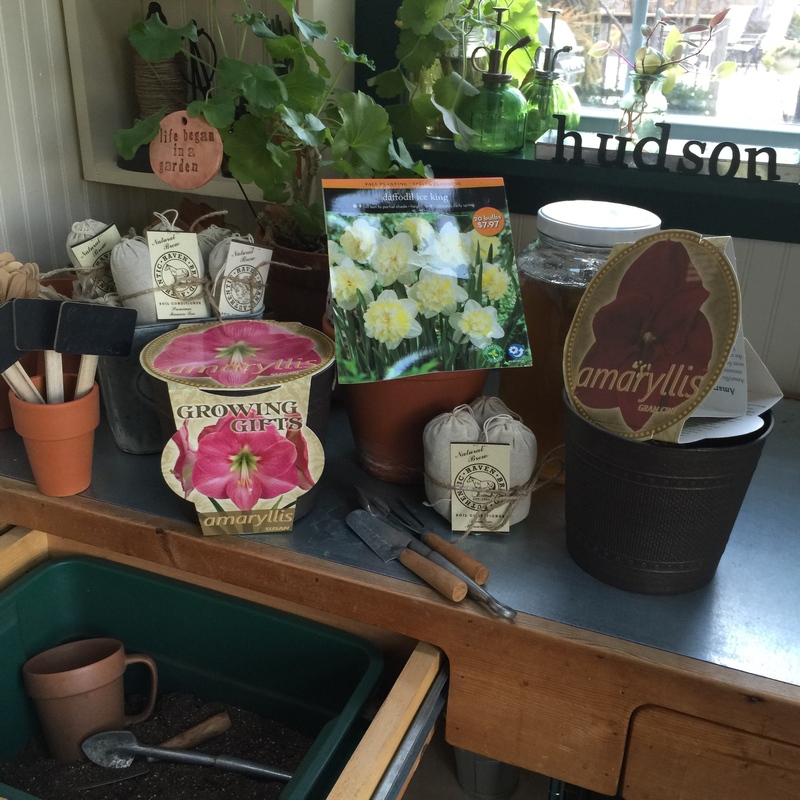 The shed is a tiny space so the roses and herbs that we had outside this summer in large pots will spend their winter in Mr. G’s woodworking shop. They will be very happy there. 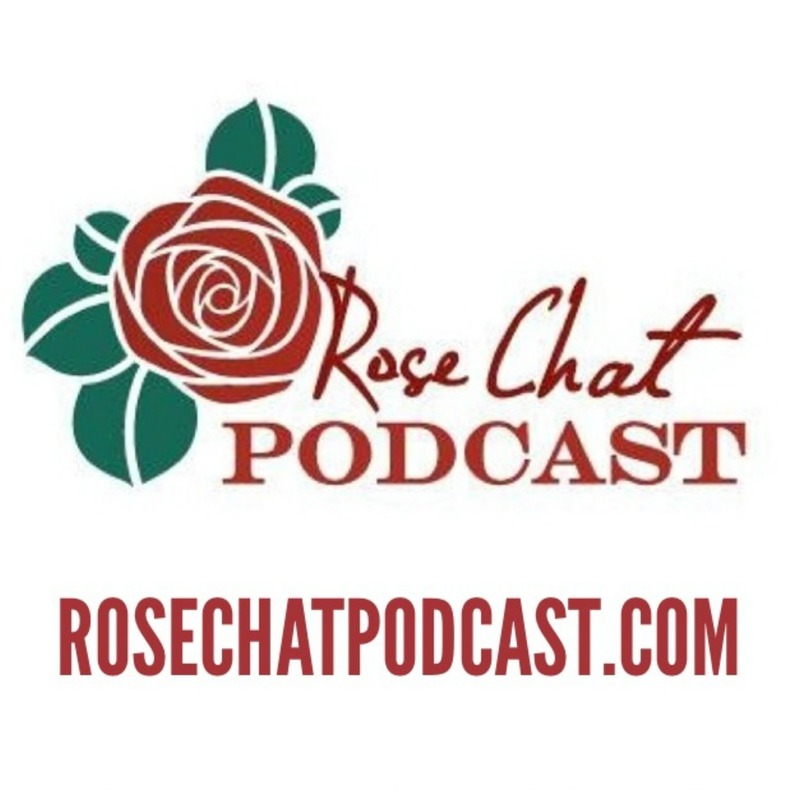 Chris and I will keep you in the “rose gardening know” with past and upcoming Rose Chat podcasts. There are 100+ recorded podcasts you can listen to here via your computer or on your mobile devices by using iTunes or the Stitcher App. Pat Shanley, VP of American Rose Society, Michael Marriott of David Austin Roses, Paul Zimmerman of Paul Zimmerman Roses, Susan Lyell Young (Rose.Cottage on Instagram) and Richard Anthony and Brenna Bosch of For the Love of Roses plus many more! One of my favorite winter activities is planning and plotting what I will do to the garden next spring. And, pouring through catalogs to make my plant buying decisions! We have so many options … isn’t it great! Another thing that gets me through the long midwest winters is pouring through the pictures I take. Actually, I consider my iPhone one of my most valuable garden tools! Our Lady of Guadelupe and neighbors. Amber Carpet Roses around the fish pond. Mr. H’s first visit to the garden! You knew he would be in this gallery, didn’t you?!? Many of you are growing in areas where things are blooming right now and I sure appreciate your shares via Instagram, Facebook, Twitter and other social networks! Whatever your season, I wish you all the best and thank you for stopping by! all your beautiful plants, my hubby got me some grow lights for my house plants, they seem to like it and frankly so do I they are making me vibrant as well,lol I never tire of seeing beautiful gardens like yours, I wish I could send you some pictures of my garden but it is no match for yours. I guess this is from lack of experience or maybe just lack of creativity. but you give me ideas so dont worry. Roberta, do send me pictures! All garden are different and special!!! okay I will have to look at my photo album which is like 1000s of pictures in it, thanks too for the encouragement.